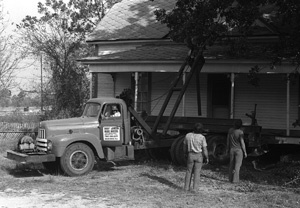 The Waddell farmhouse appears at home in Landmarks park, in Dothan, Alabama, but local people can tell you the story of the historic day on December 20, 1978 when it was moved to its present location. Located at Dothan Landmark Park off U.S. Highway 431, four miles from downtown Dothan, Alabama is a quaint turn of the century farmhouse. The Waddell house is a focal point of Landmark Park, which provides a glimpse of an 1890s farm complete with period buildings, animals and crops. There has always been a rumor that the new location for the Waddell farmhouse in Landmark Park in Dothan, Alabama was marked with a cigarette pack and this film of validates the rumor. Watch the film to the end to see which brand of cigarettes was used. 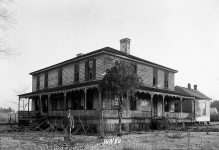 The house was originally built by Bud Bush of heart pine lumber from the sawmill owned and operated by Lesker H. Waddell. In 1906 Mr. Waddell purchased the house and acreage, completely furnishing it during the next three years. 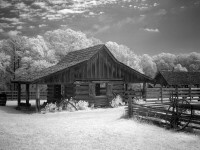 In 1909 he brought his bride, Gypsy Hall, to live on the farm. 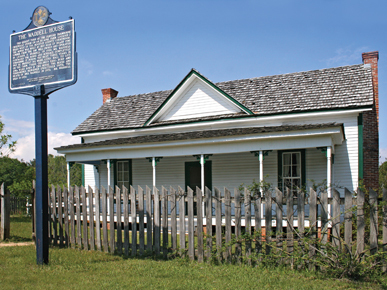 Three children, Earl, Byrd and Iona were born in this house. 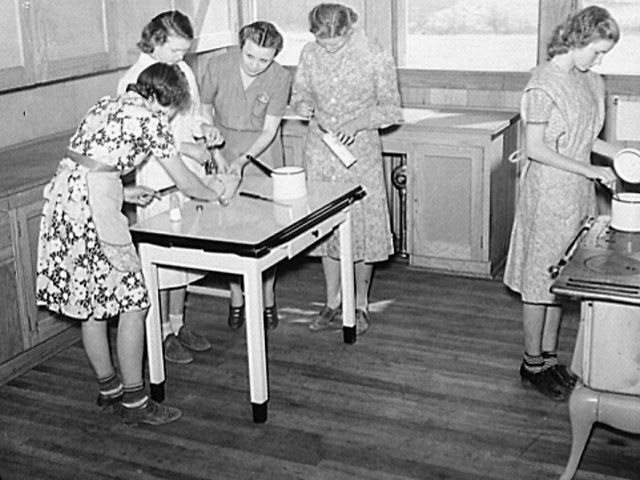 The house and furnishings remained unaltered until the death of Mrs. Waddell in 1976. Mr. Waddell died in 1956. 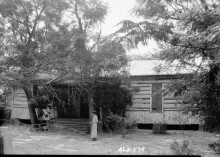 The house originally stood on an 80 acre farm, located two miles west of the Houston County Courthouse. Today this site is the corner of Ross Clark Circle and Main Street. 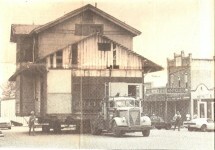 Due to construction of the area of Ross Clark Circle, the house was threatened with destruction by Dothan’s rapid growth. In 1978 the Waddell Family donated the house and outbuildings to the Dothan Landmarks Foundation. 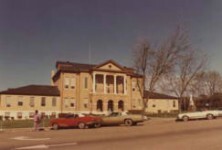 In December 1978 and January 1979 these buildings were moved to this site as the first phase toward the development of the Landmarks Center for Natural Science and History. Today this house and surrounding land stand as a living memorial to the early farmers of the Wiregrass Area who contributed so much to our heritage. 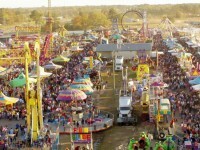 In 1992, a joint resolution, passed by both houses of the Alabama legislature, designated Landmark Park as Alabama’s official museum of agriculture. Landmark Park charges a small daily admission fee, but nearby individuals and families also have the option of paying one flat membership rate and in return receiving free admission for a full year, a subscription to the quarterly newsletter, advance notice of workshops, on subjects such as creating bird-friendly gardens and farming, and free admission to special events. Find your southeast Alabama ancestor in this great KINDLE Book. Immediate download! Dothan was a railroad hub for Southeast Florida and the editor of this newspaper mentions each visitor and their relation to local citizens. 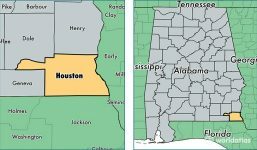 Do you have an ancestor who resided in Southeast Alabama in 1908? When Grannie Battled her Clothes – funny story that should bring back memories..
Do you have ancestors from Southeast, Alabama? Maybe they are in this book.